♥ i heart craft ♥: My first paying job! As the title states, I did my first paying job! It was for a lovely mummy-to-be for her forthcoming baby shower's. 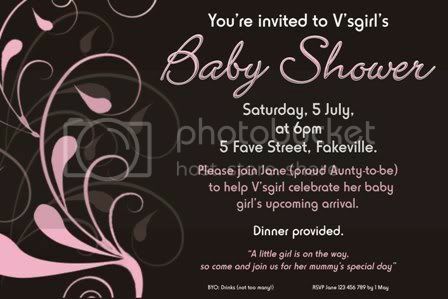 It is the same as the kitchen tea invites (see below) with a bit of tweaking here and there. I am hoping this could turn into an ongoing thing, I would love to be able to earn money from doing creative stuff. Anyway, I loved doing these and can't wait for the next job!